Mythermo™ is a high-quality fat-burner* supplement. Incredibly powerful, it increases your concentration*, allowing you to strive for superior results. 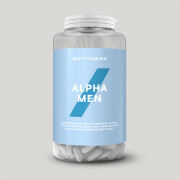 The combination of potent ingredients makes this next-generation weight management formulation a must-have for anyone dedicated to their training and nutrition regime. Created using a powerful blend of rigorously researched ingredients, Mythermo™ is an explosive mixture of caffeine, vitamins and minerals, and popular extracts such as bladderwrack, kola nut, and grape seed. Our unique blend also includes TeaCrine® and BioPerine. What are the benefits of Mythermo™? Featuring white kidney bean to support a weight-loss program*, Mythermo™ also has a high caffeine content to help you stay alert during fat-burning workouts. This makes it an ideal training partner when breaking through barriers during high-intensity sessions. 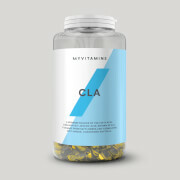 Our advanced formula also contains a range of vitamins and minerals, which play a key role in various bodily functions. Simply put, it’s a fantastic addition to have in your gym bag to help support your fitness goals. TeaCrine®: derived from theacrine, a compound with a similar molecular structure to caffeine, which improves alertness and concentration* – giving you that all-important boost. Choline: containing 90mg per serving, choline contributes to both a normal lipid metabolism, as well as the maintenance of normal liver function. 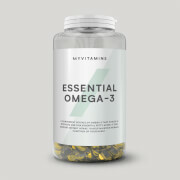 * It plays a vital role in the conversion of fat into energy. Bladderwrack: a seaweed that is a great source of iodine. Iodine contributes to normal cognitive function as well as contributing to normal thyroid function. When should you take Mythermo™? For maximum benefits, we recommend taking Mythermo™ around 30 minutes before your workout. Whether you’re trying to increase your strength or aiming to complete a track lap in record time, our specifically designed formula will give you that kick-start when you need it most. Mythermo™ is our premium weight management formula, helping you get in shape and get ripped. To help maximise your results, why not combine Mythermo™ with Thewhey™? Thewhey™ – our ultra-premium protein, crafted using our tri-blend whey to promote muscle growth and maintenance*, with over 25g per serving. *White Kidney Bean contains phaseolamin, an inhibitor of the enzyme alpha-amylase, which blocks the digestion of complex carbohydrates. *Caffeine is proven to increase alertness and improve concentration. Consume 3 capsules daily. Best taken before exercise. Warning: High caffeine content. Not recommended for children or pregnant or breast-feeding women. Contains 100mg caffeine per total daily serving. Great product for people who do not use preworkout due the the 100mg of caffeine, will give you a little boost and help you focus all while you sweat more! For those who use preworkout this is great as well just be sure to watch the amount of caffeine intake!